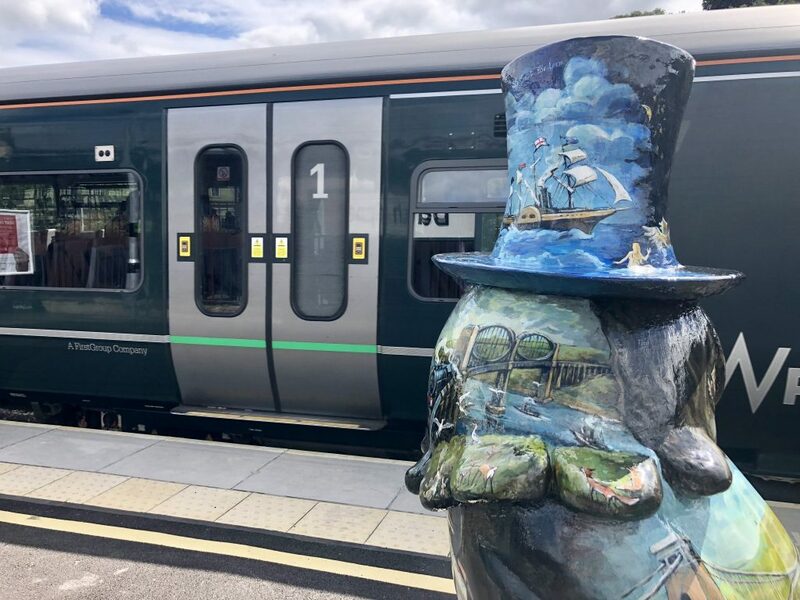 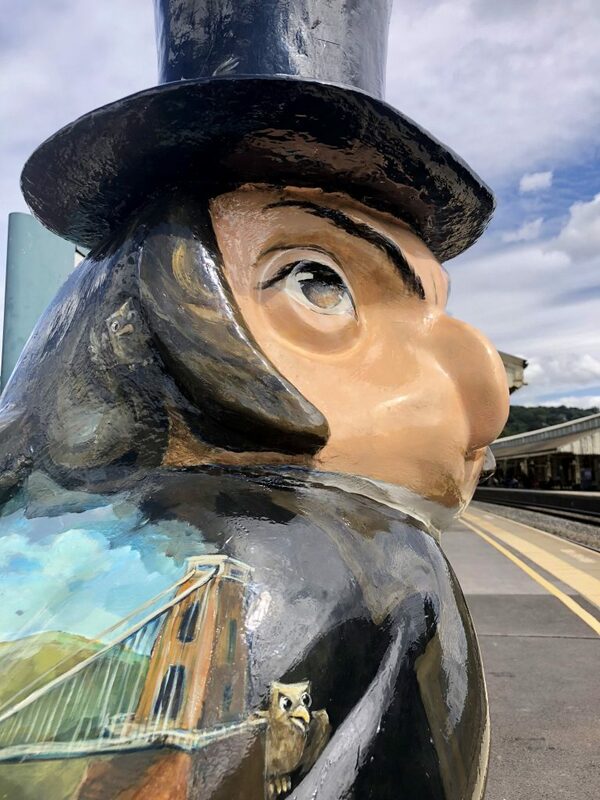 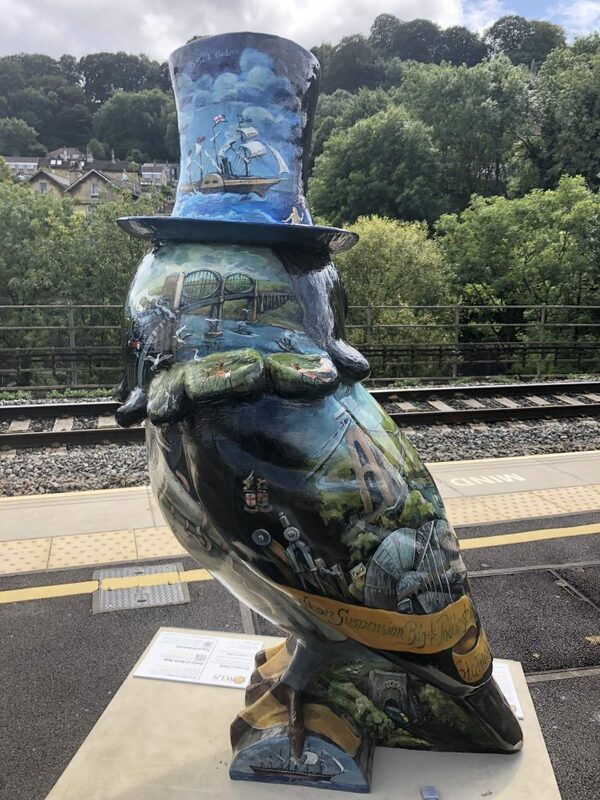 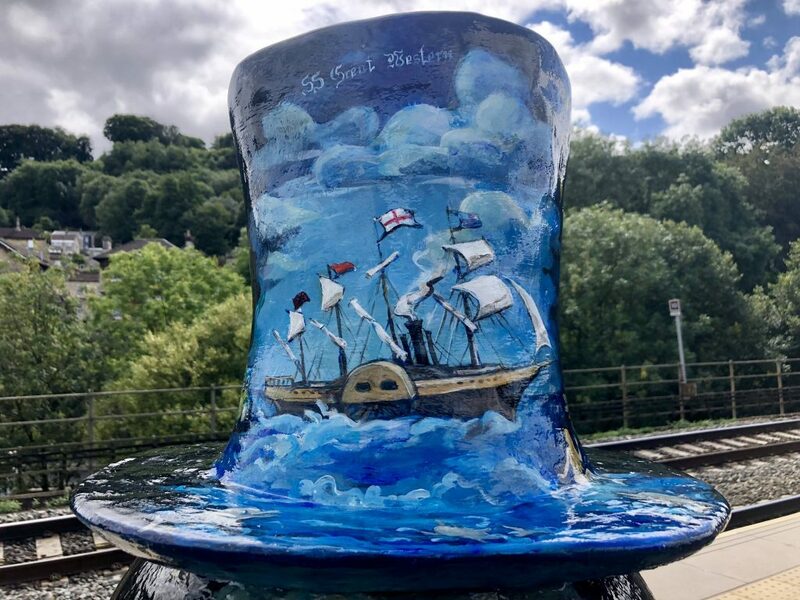 The eye-catching IsamBIRD Kingdom BrunOWL, sponsored by GWR and inspired by Isambard Kingdom Brunel, Britain’s most famous engineer, has finally landed at Bath Spa train station after his flying tour of Paddington, Swindon and Bristol stations to promote the Minerva’s Owls of Bath trail. 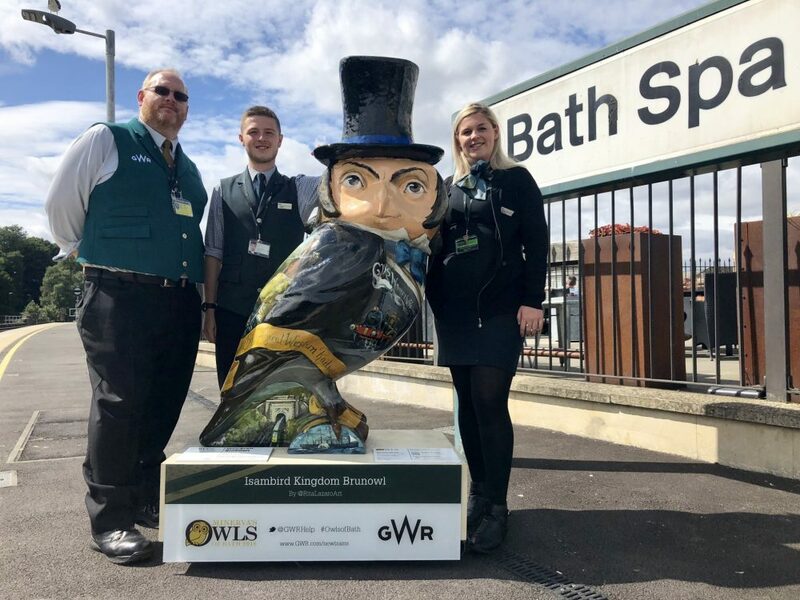 He was welcomed by the Bath Spa station team, Patrick Smith, Bradley Gould and Danielle Glover, and is already attracting owl fans from all over the world in his new nest in the station foyer. 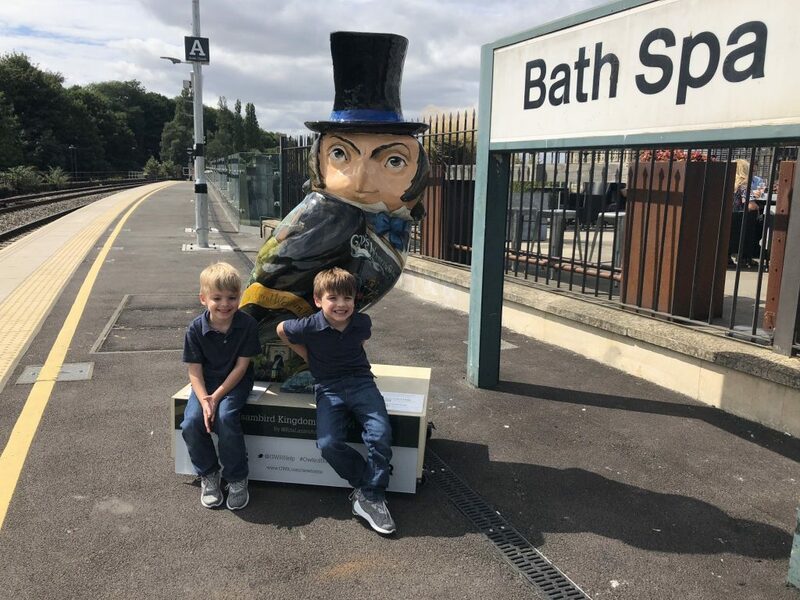 Rylan and Easton from Cincinnati are in Bath with their family for a few days to explore the city and meet some of the Owls of Bath before heading off to Mongolia! 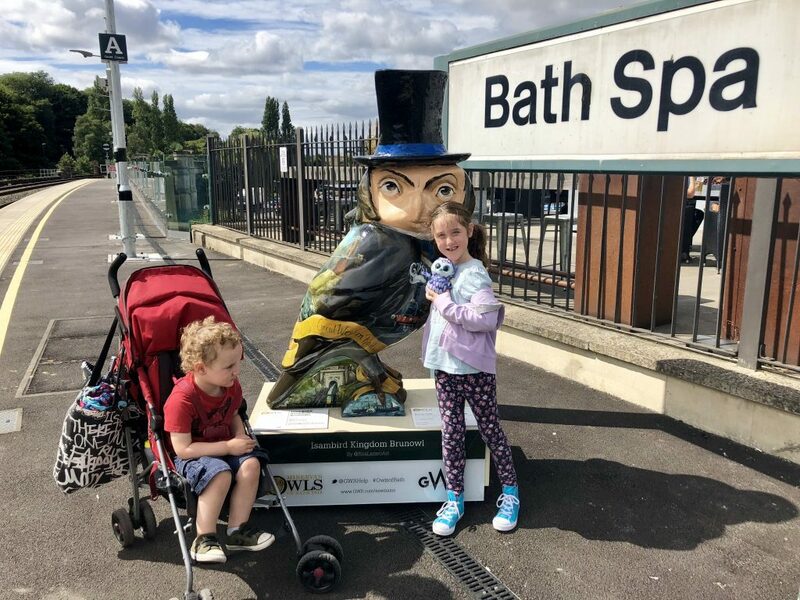 Aoife and Oison from Bristol are visiting Bath over the summer to track down all of the owls on the trail, having just finished the Bristol Gromit trail. 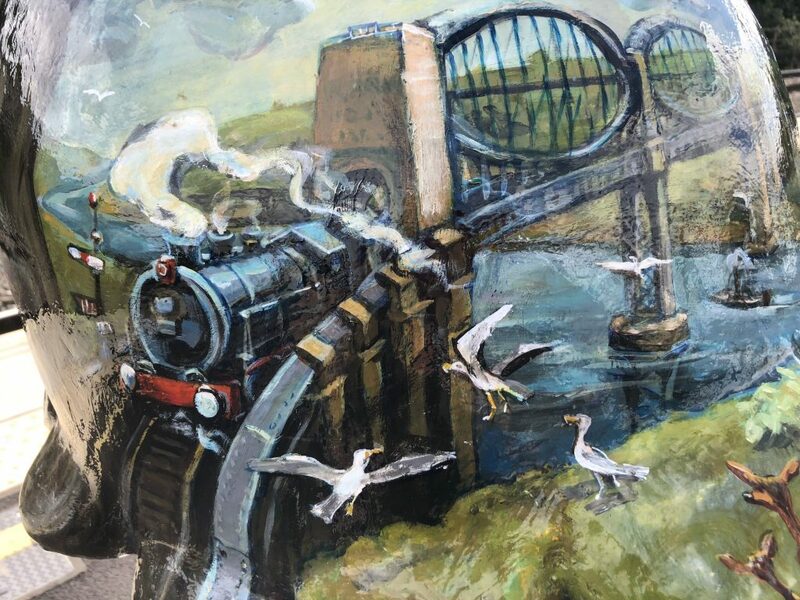 IsamBIRD’s artist Rita Lazaro has hidden owls, unicorns and other creatures within the artwork on IsamBIRD – see how many you can spot!